Fermanagh booked an Ulster semi-final slot against the winners of Tyrone and Monaghan with a determined showing against 14 man Armagh. Declan McCusker breaks past Brendan Donaghy and Ben Crealey. 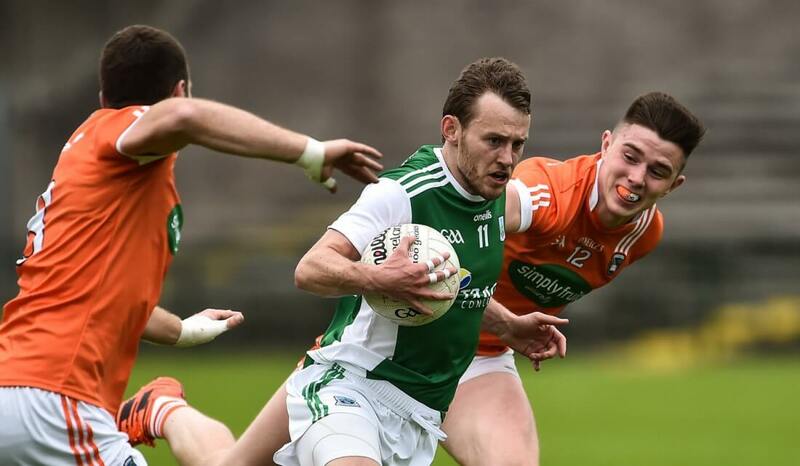 Fermanagh booked an Ulster semi-final slot against the winners of Tyrone and Monaghan with a determined showing against 14 man Armagh on Saturday evening in Brewster Park. The Ernesiders led the entire game and although the dismissal of Armagh’s Niall Grimley early in the second half was a huge blow for Kieran McGeeney’s side, it was Fermanagh who looked much the better side and more prolific in front of the posts throughout. Fermanagh opened up an early lead with scores coming from Seamus Quigley and Declan McCusker. Armagh’s Mark Shields would reply for Armagh, but it was Fermanagh who were showing more initiative with the ball as Barry Mulrone and Ryan Jones added points, 0-4 to 0-1. Ethan Rafferty replied for Armagh with two frees, but Ryan Jones would drive through the middle for his second score and Fermanagh now led 0-5 to 0-3 after 25 pulsating Brewster Park minutes in front of 8421. 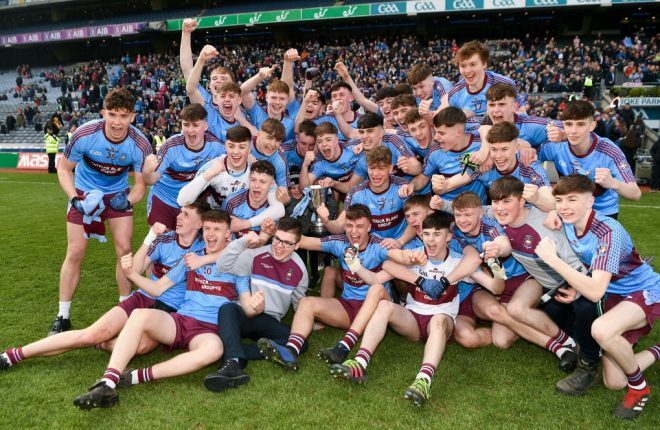 Gavin McParland and Declan McCusker exchanged scores and right on the stroke of half time Seamus Quigley pointed from a free to leave it 0-6 to 0-4. The second half opened in explosive fashion as Niall Grimley was to see a red card for a high challenge on Sean Quigley and from that Kieran McGeeney’s side would operate with a man less. Seamus Quigley, Sean Quigley and Lee Cullen would push the numerical advantage to Rory Gallagher’s side with some neat points and with 20 minutes remaining Fermanagh were in full control, 0-9 to 0-4. 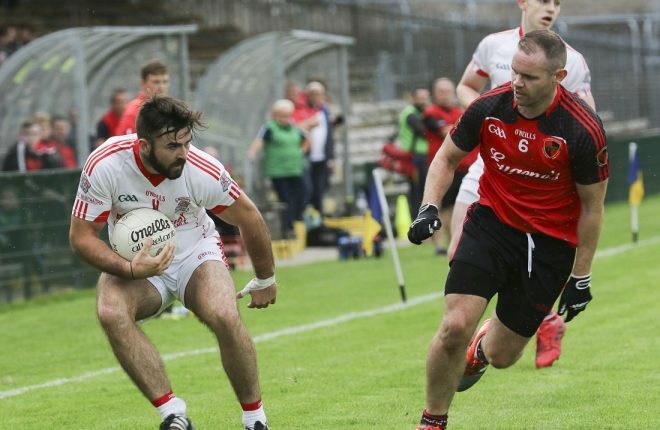 Seamus Quigley made it a six point game before Armagh finally got a response as they hit points via Rory Grugan (2) to leave four in it with nine minutes remaining. Fermanagh’s Seamus Quigley would point on a break away attack and as the game went into injury time the mercurial Quigley would add another to leave it 0-12 to 0-6. 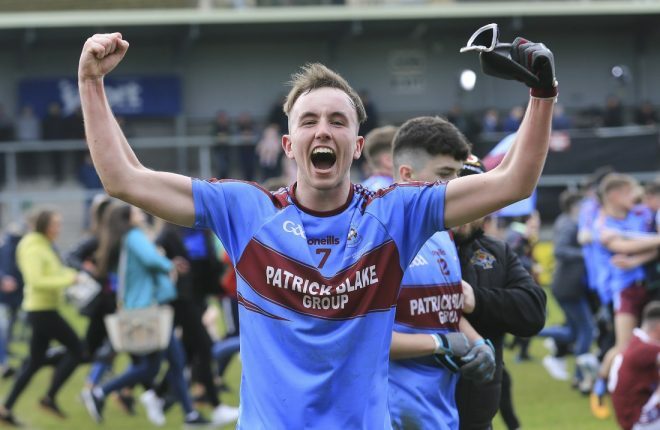 Rory Grugan reduced the deficit to five in injury time but that was as good as it got as Fermanagh booked a Semi Final place for June 3rd against one of two neighbours, Tyrone or Monaghan. 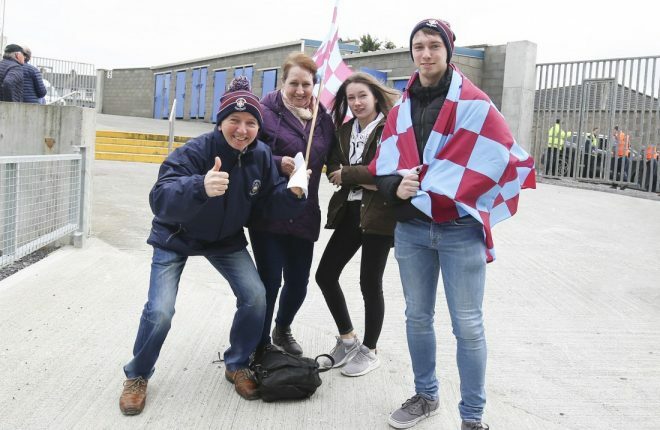 Pat Cadden; Kane Connor, Che Cullen, Michael Jones; Barry Mulrone (0-1), James McMahon, Lee Cullen (0-1); Eoin Donnelly, Ryan Jones (0-2); Paul McCusker, Declan McCusker (0-1), Aidan Breen; Sean Quigley (0-1), Conall Jones, Seamus Quigley (0-6, 5f). Subs: Ciaran Corrigan for Sean Quigley 55m; Danny Teague for P McCusker 62m; Eamonn Maguire for A Breen 66m; Cian McManus for K Connor 72m; Tom Clarke for C Jones 74m. 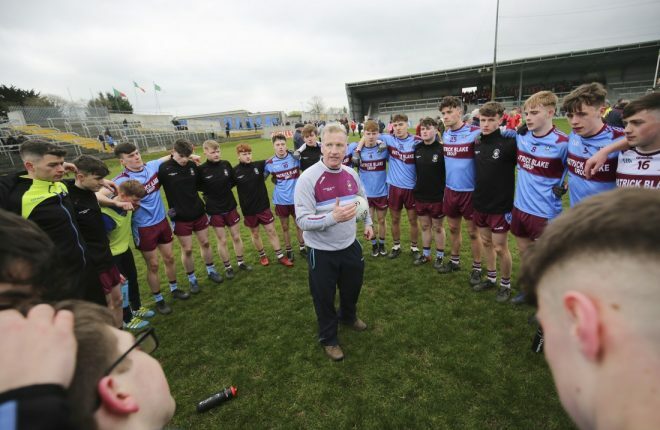 Blaine Hughes; Patrick Burns, Connaire Mackin, Aaron McKay; Charlie Vernon, Gregory McCabe, Aidan Forker; Brendan Donaghy, Niall Grimley; Ryan McShane, Mark Shields (0-1), Ben Crealey; Gavin McParland (0-1f), Andrew Murnin, Ethan Rafferty (0-3, 1f). Subs: Niall Rowland for B Crealey 30m; Joe McElroy for C Mackin 44m; Rory Grugan (0-2) for G McParland 46m; Jemar Hall for R McShane 50m; Eamon McGovern for E Rafferty 60m.